According to Global REACH — the Medical School’s platform to facilitate international initiatives in research, education and collaborations in health — globalization affects how we educate, collaborate, make policy, conduct research and provide care to patients. I could not agree more. During the month of October, I experienced many facets of globalization while on a tour with the International Federation of Head and Neck Oncologic Societies. 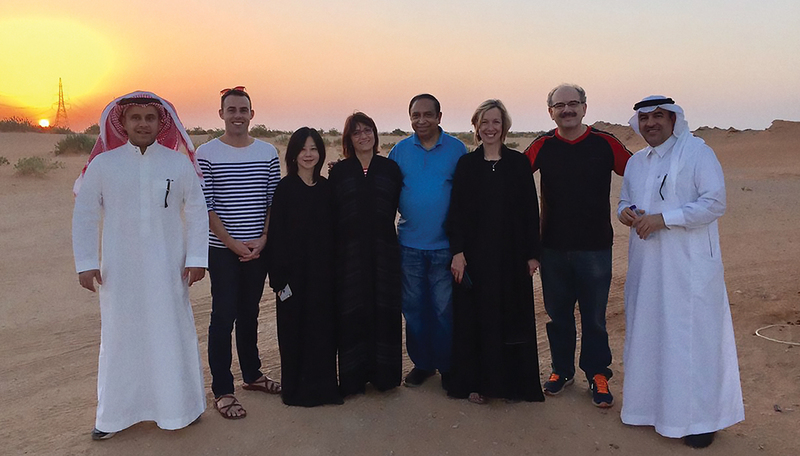 I was fortunate to be one of eight physicians who traveled to Moscow, Prague, Riyadh, New Delhi, Seoul, Hong Kong, Auckland and Rio de Janeiro, to teach principles of head and neck cancer treatment. As much as this was a teaching mission, we also learned from those we met along the way. We had the privilege of interacting with hundreds of professionals who, like us, are striving for excellence in the care of patients with head and neck cancers. After spending time with them exchanging information, ideas and viewpoints, I came back to Ann Arbor a better surgeon, teacher and member of the global medical community. I had many unique experiences on our trip. As we arrived in Hong Kong, so too did Typhoon Haima. Schools were closed, the stock market shuttered and public transportation halted. Still, one candidate for a Global Online Fellowship, or GOLF, said she paid a taxi driver more than 10 times the typical fee so that she could get to an oral examination for head and neck cancer treatment. At the same stop, we shared differing opinions with a local physician on the treatment of a young man with a moderately advanced tongue cancer. The current standard of care supports surgery to remove half of the tongue with free flap reconstruction and selective neck dissection. But the doctor planned to treat the cancer with radiation implants as opposed to surgery. This treatment could cure the cancer but the late effects could impact the health of his jaw bone in the future. This discussion highlighted the importance of vigorous discourse in achieving favorable patient outcomes, even across international borders. Next, we made a stop in Auckland, spending only about 48 hours there. We learned a great deal from physicians who conduct cutting-edge care and reconstruction. This was a theme throughout our travels that each country has unique, and in many ways groundbreaking, approaches to diagnosing and treating head and neck cancers. In Rio de Janeiro, where the tour came to a close, I spoke with numerous female trainees, including fellows and junior faculty, who told me they knew they could succeed in head and neck cancer surgery because I had. I was truly humbled by this. Nurturing the next generation of physicians and scientists is extremely important to me, and is at the heart of our mission in the Medical School. My around-the-world journey more than achieved the group’s goal of sharing education about head and neck cancer care globally. It also forged a special bond between experts in our field who took meaningful time away to educate, and the experience opened my eyes to the phenomenon of global medicine and how the University of Michigan plays a vital role in extending its reach. Michigan truly is a medical school of the world. Carol R. Bradford, M.D., is the executive vice dean for academic affairs, and the Charles J. Krause, M.D., Collegiate Professor of Otolaryngology. Image courtesy of Carol Bradford, M.D. Endowed professorships are among the highest honors the U-M Medical School awards to our faculty.